Colonel Don Lewis is the Leader, Task Force Cyber, and Branch Head, Cyber Situational Awareness, J-Cyber Division, SHAPE HQ, Belgium. 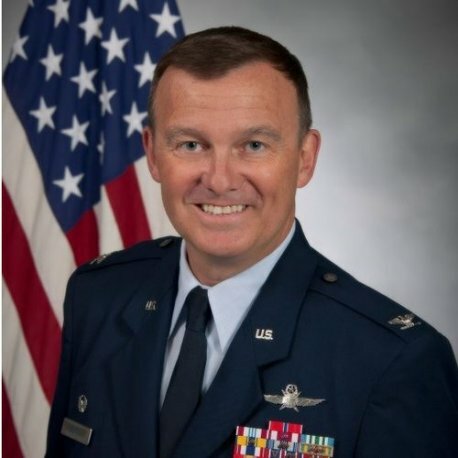 He is responsible for leading a matrixed, multinational team with diverse skill sets to provide SACEUR strategic indications and warnings by maintaining situational awareness of NATO cyberspace and howit affects allied operations and missions. SHAPEis the strategic headquarters for NATO Allied Command Operations and the J-Cyber Division is responsible for providing Cyber Situational Awareness and Defense, in support of efficient and effective C2 and C3 for joint, land, maritime, and air operations.